They won't cut Waynes, agree there, they are already down a CB. Might restructure Kyle, he isn't producing for the kind of money he is getting, but they have absolutely nothing else to replace him with, so they won't cut him I don't think. 3 million in savings. Sendejo might be gone, but 5.5 million is really cheap for a starting safety. If you cut Remmers you will need two starting guards next season, not just one. Griffen might retire, and that would be 10 million. I think after some finagling and after the cap goes up, they will optimistically have 20 million next season to spend on FA's (after signing rookies). That is without a starting DT, LBer, and LG. Unless they feel comfortable having Sloter as the only backup, they would need to spend 2-5 million on a reliable backup. Then there is Thielen, who is making less over the next 2 seasons than Diggs makes in one season. He is running out of time to make bank in the NFL, and I wonder what will happen next season when he is making about 15 million less than guys he is arguably better than. 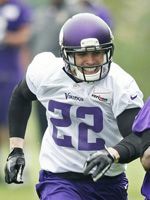 Normally the Vikings would re-do his deal to keep him happy, but I don't think they can do that with how close up to the cap they are over the next 2 seasons. Would anyone blame him if held out for more money? They are either going to need to hit a home run in the draft, hopefully picking late in each round, or accept downgrades at a couple of key positions. Certainly no big splashes in FAs, assuming Griffen sticks with the team. From NFL.com about possible Trade before Deadline. MINNESOTA VIKINGS: Buy guard Joshua Garnett. Garnett's been on the block in San Francisco for some time now, and Minnesota can certainly benefit from more depth along the offensive line. Set back by injuries again this season (this time by a dislocated toe), the former first-round pick is worth a flier for the Super Bowl hopefuls. Sure, Kirk Cousins performs exceptionally well under pressure, but methinks the crown prince of Minneapolis would prefer more reinforcements up front. Potential compensation: 2020 sixth-round pick. How painful would a dislocated toe be? Stealing this idea from another site but any interest in Osemele? Did the Vikings have interest in him in the past? The 3 negatives they had was, 1)Vikings cap space and his contract, 2)playing with an knee injury. Already missed games due to it, and 3)Raiders obsession of hoarding 1st round picks. Might ask for a 1st. I know the trade deadline has passed but I was thinking tonight about Joe Staley from the 49ers. they probably could have had him for pretty low draft pick as the 49ers I have given up on this year but they wouldn't have been able to fit him under the cap without restructured. He would have been a huge help up front for this and next year though.